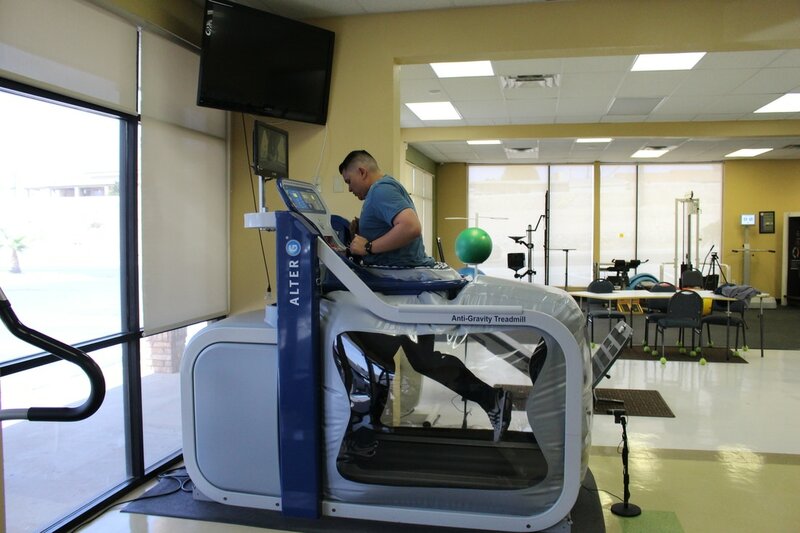 Spine & Rehab Specialists Physical Therapy El Paso - "Spine & Rehab Specialists-Making You Better Today For A Healthy Tomorrow"
We Have An Exercise For That! Once you have made your initial appointment, you can pre-register with our Downloadable Forms. Most Insurance coverage is accepted! See the latest news at Spine & Rehab Specialists! Got Pain? 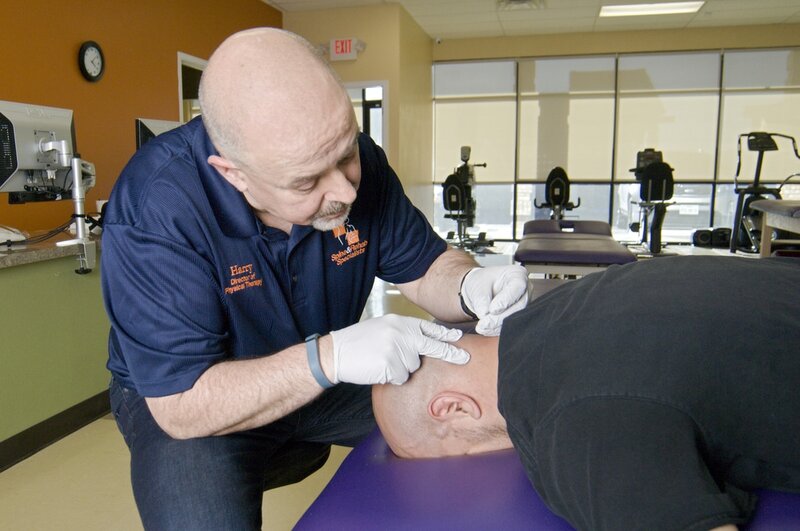 Functional Dry Needling is now offered at both locations! This form of treatment can improve muscle function, reduce pain, and assist in the progression of your physical therapy! 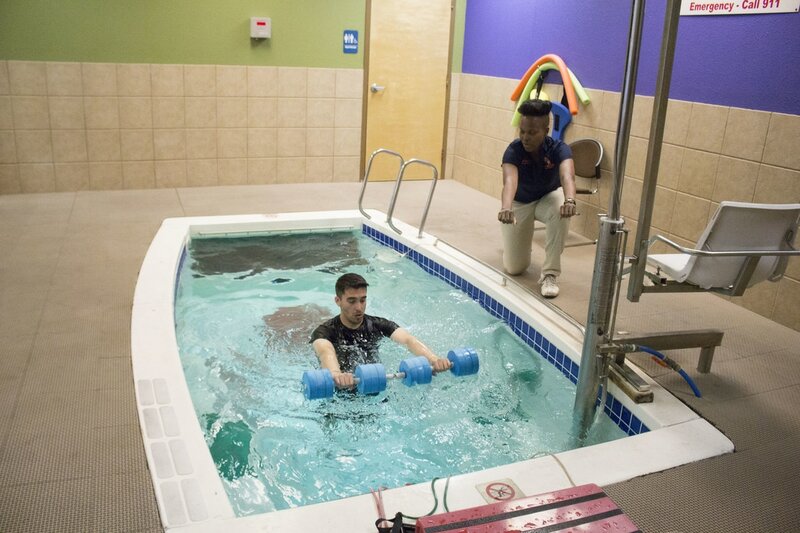 Our heated aquatic therapy pool relaxes muscles while promoting exercise! It can improve strength, endurance, balance, and mobility while enhancing pain-free motion! Want to regain mobility, develop strength, and exercise in the Alter G? Reduce gravity and impact on joints and get back on your feet with the Anti Gravity Treadmill! Push your physical therapy and training in the right direction!